LITTLE ROCK, Ark. 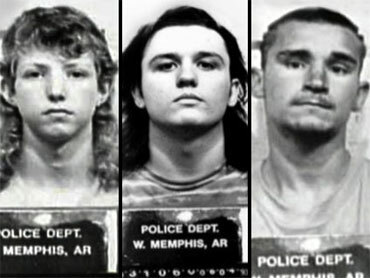 (CBS/AP) After analyzing new DNA evidence, the Arkansas Supreme Court has ordered a new hearing for the "West Memphis 3," three men convicted as teens in the 1993 murders of three West Memphis Cub Scouts. The justices also said a lower court must examine claims of misconduct by jurors who sentenced Damien Echols, Jessie Misskelley, and Jason Baldwin..
Defense attorneys hope the DNA evidence will exonerate Echols, who has been on death-row since 1994, as well as Misskelley and Baldwin who are serving life terms in prison. Lawyers for Echols argued at a hearing in September that Circuit Court Judge David Burnett should have taken the DNA test results into consideration when deciding whether or not to grant him a new trial; however, in 2008, Burnett rejected Echol's request for a new trial without ever holding an evidentiary hearing. The prosecution has belittled the significance of the new evidence saying that the absence of the men's DNA does not prove that they are innocent, and that these men were convicted based on other evidence. The eastern Arkansas murder case has drawn the attention of Hollywood celebrities and civil rights activists. Actor Johnny Depp has fervently thrown his support behind the West Memphis 3 in hopes of clearing the men he believes were wrongly convicted. Depp told 48 Hours | Mystery, "They were easy targets," and that, "There was a need for swift justice at the time to placate, understandably, an angry and frightened community." Jessie Misskelley, Jr., Jason Baldwin, and Damien Echols have been in prison for 17 years after they were convicted of murdering Steve Branch, Christopher Byers, and Michael Moore, whose bodies were found bound and mutilated in a creek. "I don't believe this is just a random tragic thing. I have to hold on to the faith, the belief that this is for a reason and that something good will come out of this somehow," Echols said in an interview with 48 Hours | Mystery in February. "A Cry for Innocence": Johnny Depp and the full story of the "West Memphis Three"